Honestly, if Rob and I didn't think this was pretty darn cool we wouldn't let her go. But, here's the thing, she absolutely LOVES this!!! 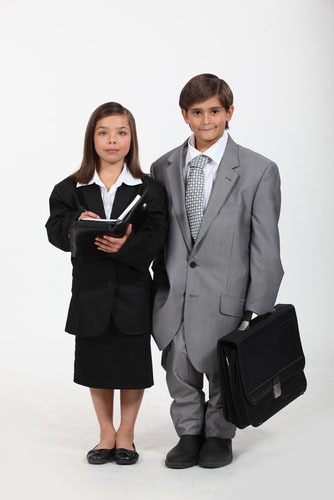 This program is for 10 - 14 year olds and I get a kick out of seeing how some children choose to wear little business suits. It's adorable. Today she interviewed for 3 jobs she would like to have and tomorrow she finds out which one she was chosen for. Perhaps I should start preparing her resume now.